Not long ago seen as a championship contenders and one of the best run franchises in the NBA, the Chicago Bulls have fallen on hard times and a series of questionable personnel decisions have led to a lot of angst among fans. That anger has reached a new level apparently, as a new #FireGarPax (referring to General Manager Gar Foreman and Vice President of Basketball Operations John Paxson) has been put up in Chicago. It was organized by Bulls fans and the money was raised for a GoFundMe campaign. While the Bulls trade package for Jimmy Butler, Kris Dunn, Zach LaVine and what turned into Lauri Markkanen, wasn’t well recieved around the league or by Bulls fans, and their attempt at three-headed monster in Butler, Dwyane Wade and Rajon Rondo was a failure, it hasn’t been all bad in Chicago. 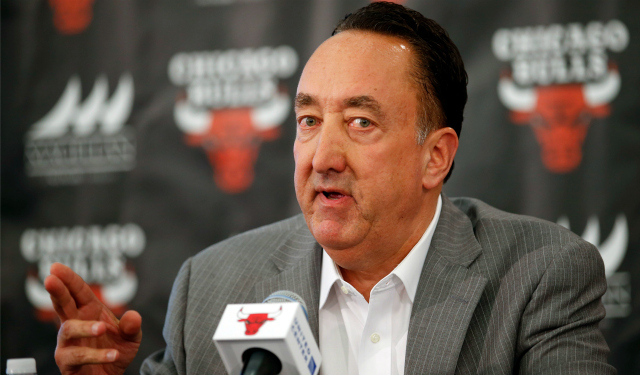 In the eight years since he became general manager in 2009, the Bulls have never had a losing season and made the playoffs in seven of those eight seasons. While the Bulls organization isn’t in a great position at the moment, that is a pretty impressive resume as a whole and not warranted of being fired, yet. The Bulls need to give this regime another year or two to see if the ship can be steered back into the right direction before they blow everything up in my opinion.